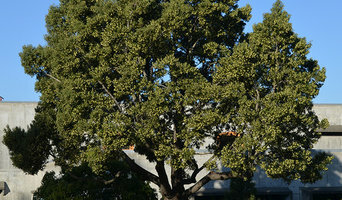 SUPPLYING LARGE QUALITY SPECIMEN TREES NZ WIDE. Our range includes over 450 different types of trees which range from NZ Natives , Edibles and Exotics, these are grown at our two sites in Palmerston North. Our customers include many councils, landscapers, schools and large private gardens. We are a supplier of sustainable and natural landscaping materials. Wholesale and forward bulk ordering available. Tree and shrub suppliers to councils,landscapers, property owners. Easy Big Trees are a family business with over 100 years of industry experience supplying quality trees and shrubs NZ wide. 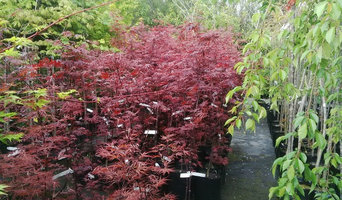 Our trees & shrubs are available for immediate delivery New Zealand wide. All trees are grown in a natural medium bark and peat mix that is a renewable resource. They grow well and are lighter and easier to transport. Easy Big Trees have a large range of hardy NZ natives and exotic deciduous trees & shrubs grown here at our nursery here in Southland. We also have a large range of instant hedging and screening shrubs as well as established topiary and pleaching trees. 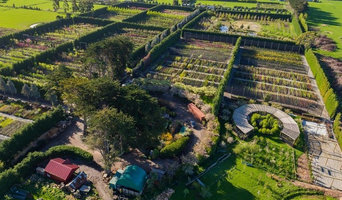 Our nursery sites now cover over 30 acres with currently 70,000+ trees and shrubs in stock (the largest big tree and shrub nursery in the South Island!) We also have areas in the nursery specially set up for contract growing and supply trees in larger numbers for your project needs. PlanTub Wood Planters and BoxSeat indoor & outdoor storage seats are made from sustainable materials in New Zealand to a high quality professional standard. Traditional, contemporary and custom handcrafted planters are available to cater for a wide variety of landscape styles and designs. We work with commercial customers, landscape designers as well as individual consumers looking for high quality products not readily available in retail stores. Vertical Garden Solutions New Standards Pixel Garden flower walls are setting new standards in designing the space with the use of living flora. They perform not only decorative and image but also a functional role. They are built as facades of properties, partitions of fair stands, acoustic screens, fences and in this way they introduce a new quality of space. The green walls attract eyes and attention, creating an original visual message. Multiplicity of possibilitis Pixel Garden vertical gardens give huge arrangement possibilities. Small, flowerpot-like pixels compose colourful, rich in details pictures. They enable the creation of diverse variations of colours - blossoming mosaics and sophisticated floristic patterns, arousing universal admiration. The series of Pixel Garden products are set for building walls with decorative flora, doing well, both in interior decoration as well as in designing an open area. Specially constructed modules of flowerpots with chosen plants may be used for the construction of partition and protective walls, arbours, fences, different kinds of baffles, as well as for decoration, interior design, and adornment with living, blooming flora. Weather Wise Shade Systems Limited is a Canterbury based specialist shading company dedicated to the manufacture and installation of quality tensioned membrane systems in the Residential, Commercial, Educational, Horticultural and Agricultural sectors. Our team is headed by Owner and Company Director, Hamish McClure. Professional friendly customer service, quality designs and products and after sales service all add up to what we call 'the Weather Wise experience'. We're told this is what sets us apart from our competitors. All fabrication and engineering work is completed on site and a large range of samples are available for clients to take home and view in their own surroundings. With a franchise based in Dunedin, the Canterbury team regularly travel the greater Canterbury and Tasman area. We have a number of loyal North Island clients and enjoy the opportunity to install our shade systems further afield. See if you can spot some places you recognize in our galleries. 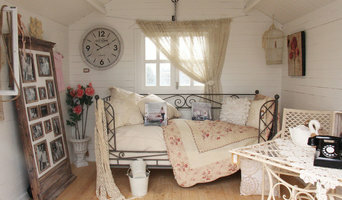 Whether you are an hours drive or flight away, we'd love to help you create the outdoor spaces you desire. Bespoke corten weathering steel Letterboxes, fire pits, braziers, chiminea's and decorative screens. 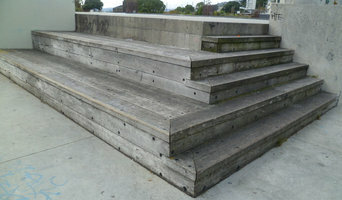 New Zealand designed and made. Choose from our current range or work with us and us our custom design service. New Zealand's only comprehensive instant hedge nursery. Now there is a solution to your immediate privacy and landscaping needs. Living Walls™ instant hedges have been lovingly tended and formed for years by the team at Twining Valley Nurseries. Available by the metre, in a range of sizes and varieties, you can enjoy established hedging that looks like you planted it years ago, today.